Public procurement in the European Union represents almost twelve per cent of the EU's GDP and is continuing to increase, having been identified as a key objective in the EU's aim to become the most competitive economy in the world by 2010. 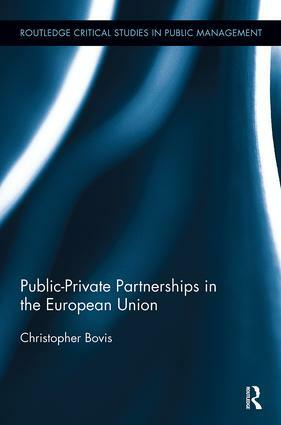 This book provides a one-stop shop, multi-disciplinary approach to public procurement and will be of use to academics and policy-makers. Providing its readers with practical description and analysis of the relevant policies, law and jurisprudence, the book also explores possible future trends in public procurement regulation. Christopher Bovis is Professor of Law and H.K. Bevan Chair in Law at the Law School of the University of Hull. He is the Editor-in-Chief of the European Public Private Partnerships Law Review, published by Lexxion, as well as Contributing Editor of the Encyclopaedia of Competition Law, published by Sweet and Maxwell with responsibilities for transport, telecommunications and public procurement.